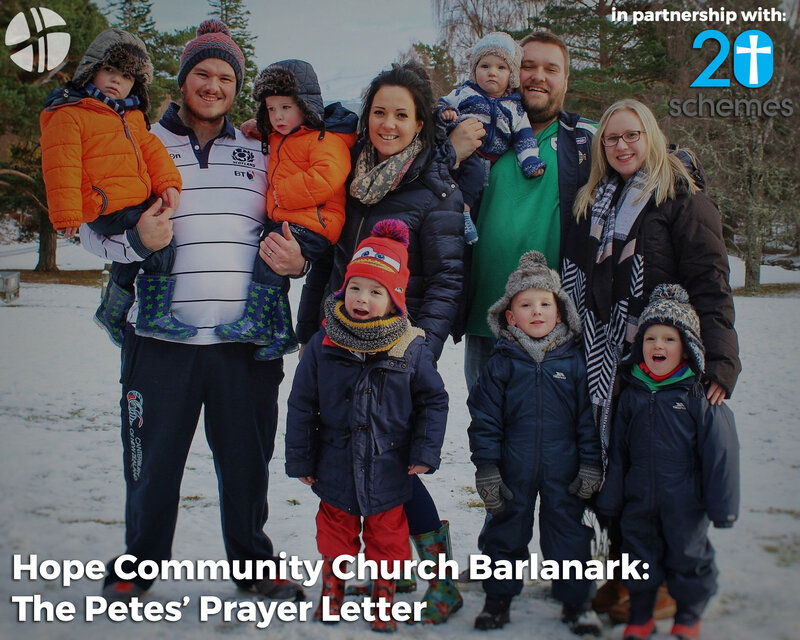 Use this form to signup to receive our regular prayer updates as we seek to 'make Jesus known in Barlanark and beyond '. All we really need is your email address and full name but if you fancy leaving the rest of your details it will help us as we try and understand our support base a wee bit more. Thanks in advance! How did you first meet / find out about The Petes / the work in Barlanark? You can change your mind at any time by clicking the unsubscribe link in the footer of any email you receive from us, or by contacting us at barlanark@20schemes.com. We will treat your information with respect. For more information about our privacy practices please visit the 20schemes website. By clicking above, you agree that we may process your information in accordance with these terms.